I’ve been finding lately that going for walks can really help clear my head. Maybe it’s because I spent all of my summer in the fresh air digging. Maybe it’s because I’ve been spending all my days in the library staring at my laptop and willing the words to appear in order to complete my essays. Or maybe it’s just because Edinburgh is a beautiful city and I want to spend more time exploring it. Either way, being outside in the brisk evening air is something I really enjoy. Whether alone or with someone to chat to. Especially now, with the air becoming a lot colder, I love wrapping up and enjoying the cold. Sounds odd right? Does anybody else enjoy the cold? There’s something strangely satisfying for me, being out in the cold and knowing I can go back to the warmth of my quilt and maybe (who am I kidding – I definitely will) treat myself to a hot chocolate. I love to put on my hat and gloves and embrace the cold, sending clouds of my hot breath out as I enjoy my surroundings. For being a self-proclaimed sun worshipper, there is something strangely welcoming about the cold… I think I’ve spent too much time in Scotland. Well this weekend the weather turned and there is certainly a frost in the air. The trees are shedding their leaves, turning the pavements into a colourful mess. Autumn is shouting out a big hello. While I always think of autumn as that annoying in between stage – the end of summer but not quite Christmas yet – I’ve started to grow a bigger appreciation of it. Maybe the blogging world is having a bigger effect on me than I thought, and all the orange hued photographs that fill my Instagram feed have finally won me over. But right now, I can think of nothing better than sticking on a pair of boots, digging out my winter coat and trudging round the leaf-splattered streets of Edinburgh. 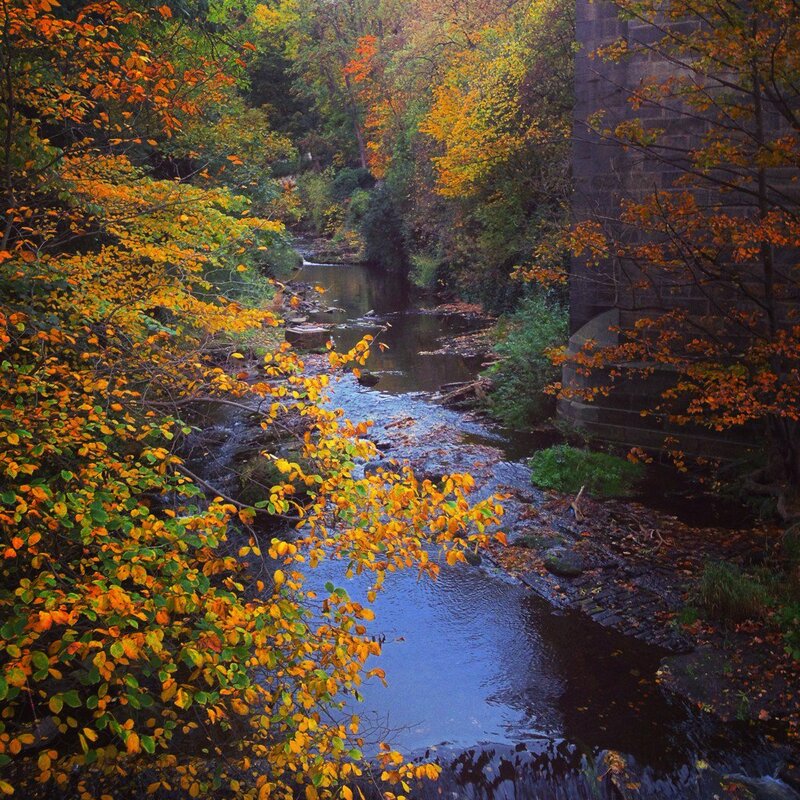 What better way to celebrate the arrival of autumn in Edinburgh than with a post dedicated to the places I love to visit while it’s not too cold to? I love it down here, walking along the waterway and following the path for as long as I can. Where the path is lined by trees, you’ll find yourself crunching over the discarded yellow and red leaves. All the while, the water flows by creating a really peaceful atmosphere. I’ve even taken my book down on occasion to enjoy while dog walkers and explorers walk past. I’m still always looking in awe at the stacks of stones in the middle of the river. Set right by Stockbridge, the best day you can go is a Sunday, to stop by the market first and grab a bite to eat before setting on the journey (or as a treat for after the walk). 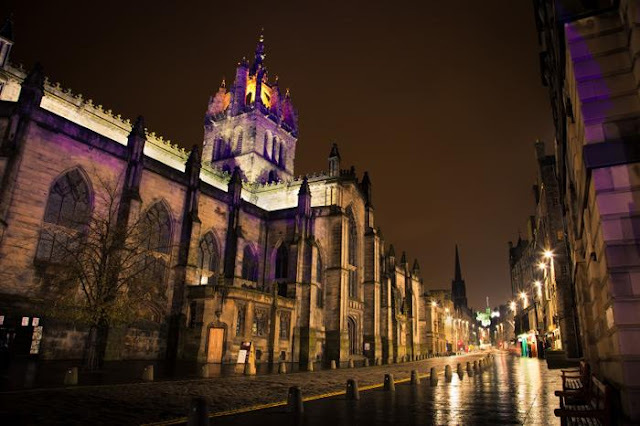 It’s one of Edinburgh’s great attractions, and it fits in perfectly with this post. It’s crazy to think that Edinburgh has a volcano slap bang in the middle of it, but here it is nonetheless. Arthur’s seat is great for a bit more of a challenge – you can pick between the many routes that lead up to the summit and see Edinburgh from all different angles. It’s beautiful on the journey up, and it’s incredible once there. 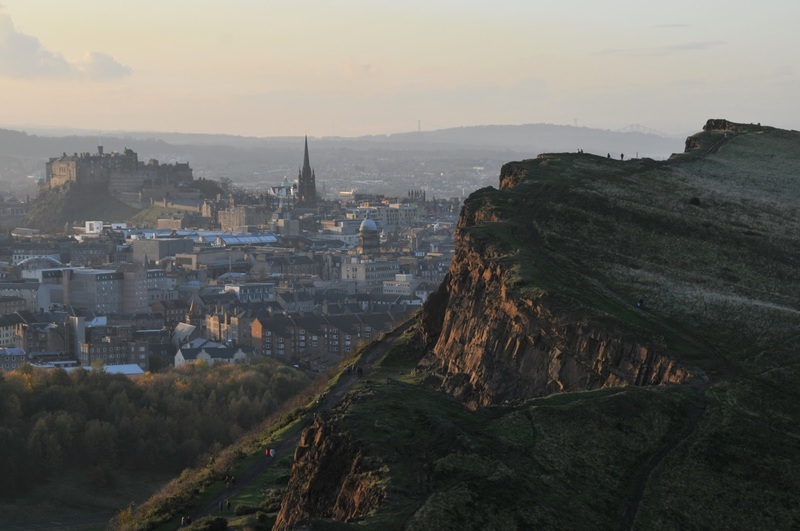 With views across the whole of the city, there’s no better place to go to appreciate Edinburgh. The meadows are a wonderful place, a huge green expanse in the middle of the city. It's crazy and wonderful that this place has been left to exist. Throughout the year uni students flock to the meadows - a welcome spot to relax in when the library becomes too much, an area to exercise and play, a site to have barbecues on some of the rare sunny days. No matter the time of year, the area is undeniably beautiful. It helps that rows of trees line every pathway through the grass. In spring the pink and white blossoms create the picturesque scenes that flood social media, and in autumn, the leaves shed to offer a colourful autumnal scene. Walking along the paths - maybe those that are less travelled by uni students- gives you the feeling of being outside of the city and offers some peace on a quiet day. The old high street - a street full of bustling tourists and shops that sell every type of tartan and fudge that you could ask for. During the day, its often a little too crowded for me to stroll down, but by the evening there's nothing better than a trip up and down the way. At the top you'll reach the famous castle, which is flooded by lights. Seeing the castle against the dark backdrop of the sky makes it seem even more impressive. Walking back down to the bottom of the mile the tourists become fewer, and the buildings become more characterful. It's one of my favourite streets to walk along, seeing the pub lights looking cosy and the windows fogged up epitomises autumn for me. And the countless ghost tour guides, cloaked and hooded, look even more in character as the night draws in. The day and night versions of the street contrast one another perfectly, and is worth visiting at the different hours. 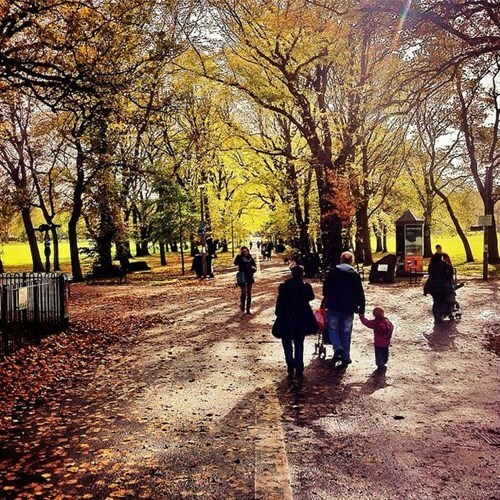 Where are your favourite spots to explore in Edinburgh during the autumn? Of course I also love finding cafes and coffee shops, especially ones that have seats outside. Sitting out with a hot chocolate while wrapped in scarves and blankets is such a satisfying feeling. It also has the added bonus of being able to people watch, which is everyone's guilty pleasure. I love exploring Edinburgh and finding new places, especially as the seasons change and you can feel the change in the temperature. Getting bundled up, makes me really happy - maybe its just me, but the dropping of the temperature one degree at a time just reminds me of how close we're getting to Christmas, which lets face it, is the happiest time of the year.